As much as you may love riding your motorcycle, there are certain dangers involved when you are out on the road. You may be more at risk thanks to the other drivers on the road today that may not pay as close attention as they need to where motorcycles are concerned. No matter how careful of a driver you may be, you may find yourself involved in a motorcycle accident, which very often can lead to substantial injuries. If you find yourself involved in an accident like this as a result of someone else’s negligence, you want to be aware of all of your legal options so you can be sure you get the help and compensation you may be entitled to. You can help your case greatly with a motorcycle accident lawyer in Long Beach today! Depending on what happens to you in an accident, your injuries may be severe enough where you need to be hospitalized for a length of time. After hospitalization, you may find that you need follow-up surgeries, extensive physical rehabilitation or regular medical care for several years following the accident. All of this can lead to very large medical costs for you and these costs should be the responsibility of the person that caused the accident. You want to have a lawyer on your side to help you so that you can be sure that not only your current medical bills get paid properly but any future treatment you may need because of the accident is also covered properly. There can be other costs involved in your case beyond medical care. The accident can leave you unable to work for a length of time. You may even have a permanent disability that keeps you from going back to work at all. This will add the financial burden of paying your bills and living expenses. Along with that you probably experienced some type of property loss with the damage to your vehicle. All of these expenses can be addressed by your lawyer, who will seek to get you payment for all of the pain, suffering, loss of wages, property damage and more that you have experienced. You do not want to have to try to deal with all of the claims, paperwork, insurance and legal issues that can arise from an accident all on your own. 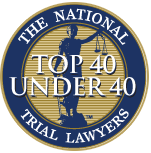 Seek out the services of an experienced lawyer to help ease the burden and get you what you deserve. 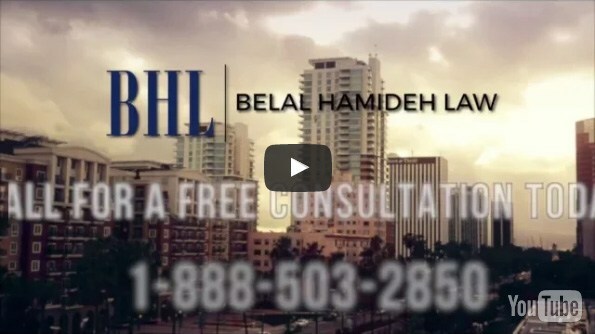 Call Belal Hamideh Law for a free quote today.